Researchers are always looking for root causes of congenital defects. Typically, research starts with animal studies and moves on to human studies as necessary. While animal studies do not always result in direct correlations with human outcomes, researchers believe chicken heart development may hold the key to a possible breakthrough in congenital heart defect development. The formation of the chicken heart is very similar to that of the human heart. One of the main differences between the two is time. It takes quite a bit longer for the human heart to develop than the chicken heart, but in this case researchers can use the time difference to their advantages. 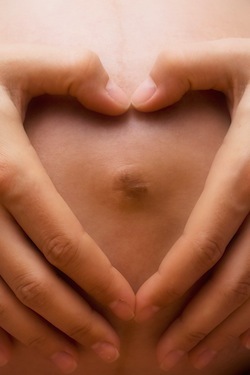 At the heart of the study are embryonic cells that eventually develop into the walls and other structures of the heart. Researchers use these cells to create a “fate map.” A fate map correlates embryonic cell changes with heart development. Researchers can use the map to trace what changes caused what heart defects and, hopefully, use that knowledge in human research. What researchers found, using fate mapping, was a direct link between embryonic cell changes in the gastrulation stage of development and congenital heart defects. Gastrulation takes place a few hours after fertilization in chickens and a few weeks after conception in humans. Researchers found certain embryonic cells were responsible for the development of healthy heart structures, including the outflow tract. Many newborn heart defects are associated with the outflow tract, so how the tract is developed is important for advancing research. Now that the connection between the cells has been mapped, researchers plan on further researching the factors that move cardiac progenitor cells to the places they need to be to form a healthy chicken heart with the hopes of using the information they learn to facilitate further advances in human heart research.